Adrien Broner was served a platter of “L’s” at the MGM Grand in Las Vegas last night. First, he took a beating at the hands of Manny Pacquiao during the main event of the evening, losing via unanimous decision. 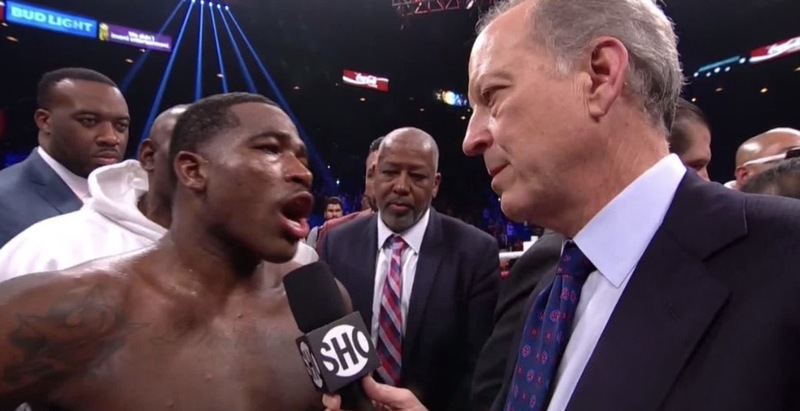 And then, just as he was trying to convince the crowd that he should have won the bout (despite getting outlanded by Pacquiao, 112-50), Broner was handed another “L” by Showtime’s in-ring interviewer, Jim Gray. I’m pretty sure Gray just sent Broner into early retirement. These interviews are seriously turning out to be the only entertaining part of Broner’s fights these days.